After installing the SQL Server 2012 on my laptop, I found there is only online document available, no local book online document found...........I thought I might not select the local help document during installation, but by researching, it is the new feature of SQL Server 2012..........I don't know what sql server develop team thought, but I still like the local book online, it is faster, and not depends on the internet. if you want to have the local book online just like SQL Server 2008, you can configure it by the steps below. 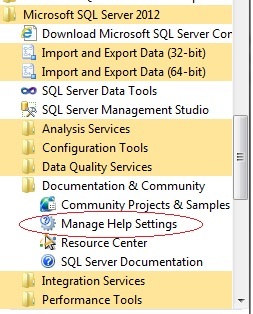 3. open "Manage Help Settings"
4. 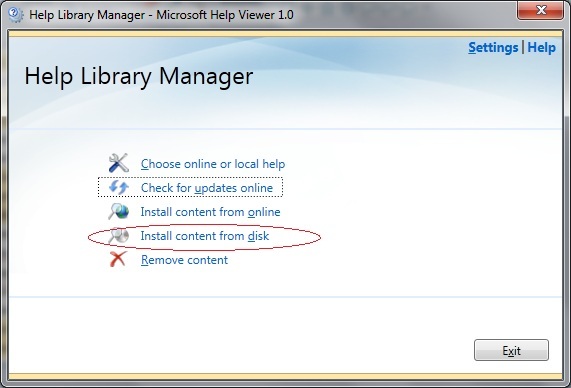 Select "Install Component from Disk"
5. Click Add next to the documentation you want to install. Click "update"
6. return to the first page, click "Choose online or local help"
7. 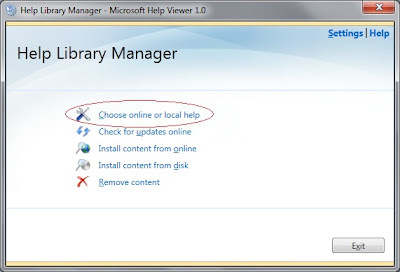 Click " I want to use local help"
Now, enjoy the local fast help document ! 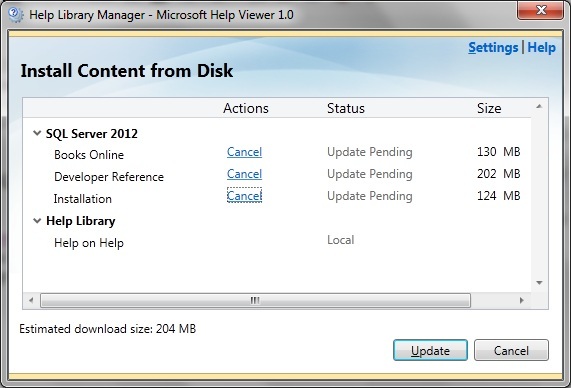 I am still wondering why Microsoft made this change? before SQL2012, the help document is setup with the product, even if I want to have a copy on client side, it is very easy to do, just need to download the BOL package and install it directly without any configuration, but now, everything is changed, the new help document method makes the product more difficult to use....customer need to pay more effort to configure. Thanks for your comments, you may be correct. 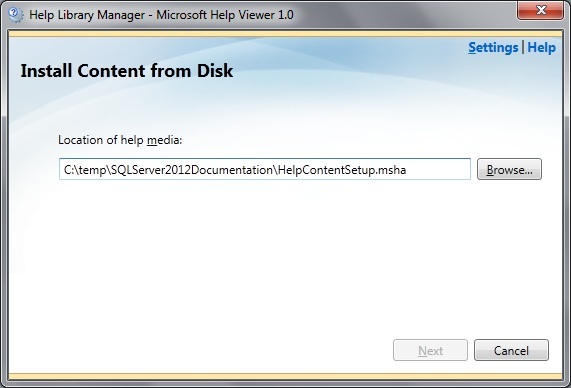 However, before sql 2012, we can still install a standalone BOL by http://www.microsoft.com/en-us/download/details.aspx?id=1054 . 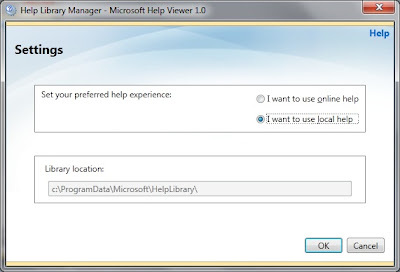 I think MS may want to uniform all of product's BOL by the new help system. that was very helpfull thank you!